As you may have noticed by now, I love a good DIY project. I’ve written a few blog posts on the matter already, and this one is no different. Today I’m sharing five DIYs I’d love to tackle this winter. Let’s jump straight in. 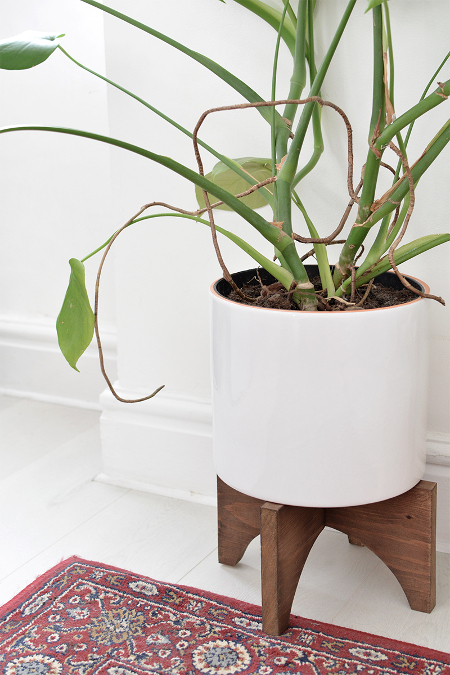 A stylish mid-century inspired plant stand is just what everyone needs for their burgeoning house plant collection. This DIY does require the use of a jigsaw, but it’s a very simple project otherwise and the finished item looks as though it were bought from Anthropologie. Get the tutorial from the Burkatron blog right here. This standing dressing ‘table’ is a brilliantly smart small space solution. It uses a pegboard as the foundation, which allows for plenty of customisation. 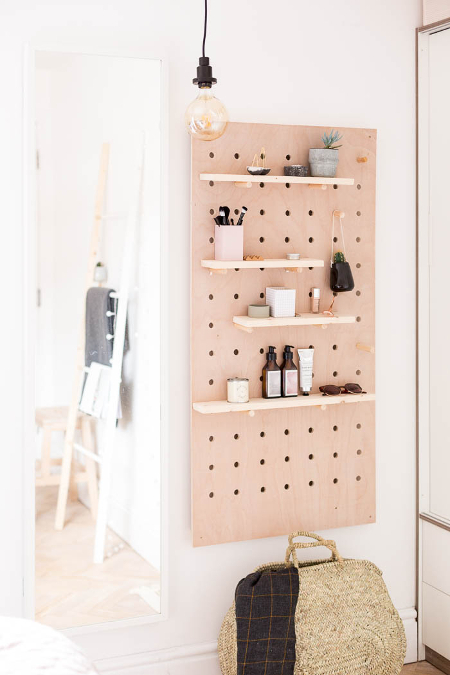 If you don’t want to make your own pegboard you could buy one instead. It’s the perfect place for keeping your daily lotions, potions and accessories. For the full tutorial, click here. Painting furniture is transformative. An outdated or damaged piece of furniture can become fresh and modern with just a few coats of paint. 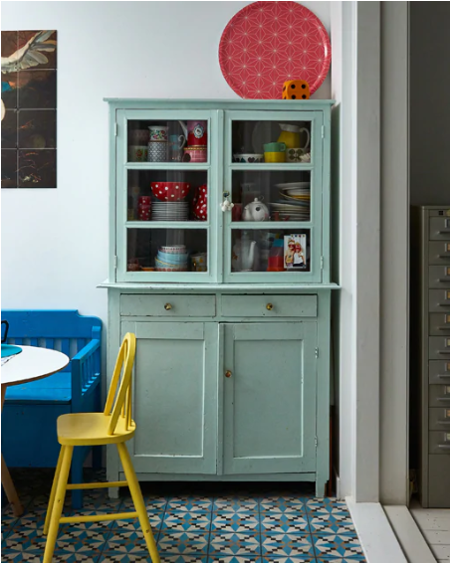 And IKEA furniture, which is fantastic and affordable but generally seen everywhere, can become unique to you. There’s no tutorial here as such, but this article has some great images to inspire your next painting project. 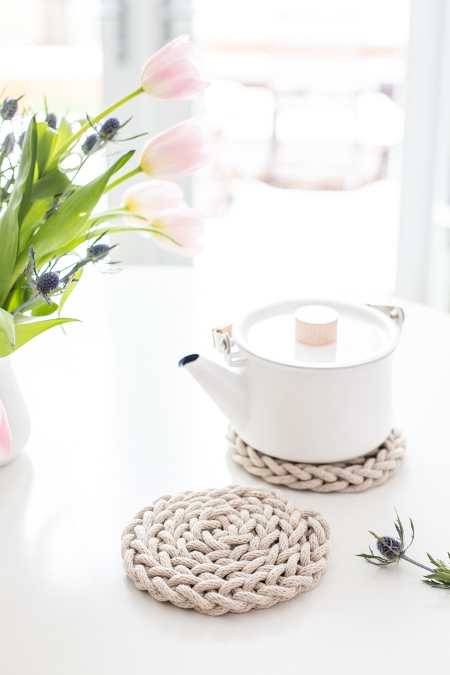 This textural trivet made from knitted rope is just the thing for any Scandi inspired kitchen. It’s a quick and easy project, requiring a length of rope (or cord) and little else. I’d like to make a stash of these to gift at Christmas. It would be fun to play around with different colours and types of cord too. Click here to read more. And, finally… I couldn’t resist including a little Christmas project in this round-up. 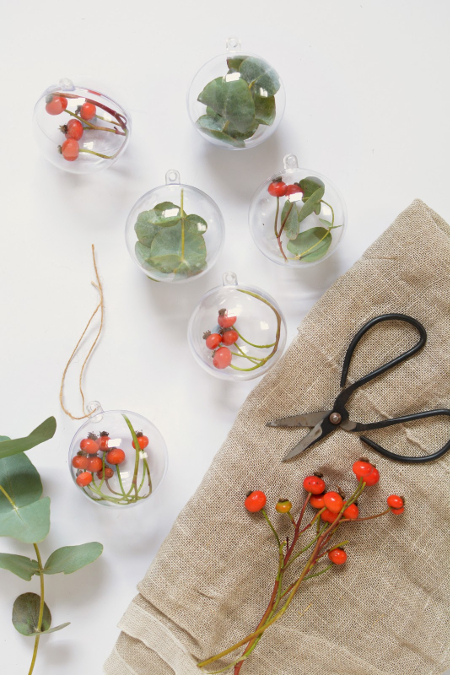 These foliage filled baubles are just delightful and so easy to make. I’d worry about the foliage turning bad, so would make them on Christmas Eve to ensure they keep through the holiday. Alternatively, you could use faux foliage and then they’d keep for a very long time.